Intrauterine devices are gaining prevalence worldwide for family planning purposes because of its long-acting ature and reversibility. In fact, over 15% of married women were noted to use intrauterine contraception . Trends demonstrate highest usage in Asian countries, with at least 50% of Asian females utilizing IUDs for prevention of pregnancy . Sub-Saharan Africa remains an area where there is a substantial unmet need for family planning in general. Two types of IUDs are available: hormonal and non-hormonal. The most commonly-available hormonal device goes by the name Mirena, and contains 52 mg of the progestin levonorgestrel (LNG), and is approved for use over 5 years, although studies have demonstrated efficacy to 7 years . Initial hormone release rate is 20 mcg/d, which declines to 10 mcg/d at the 5 year mark. Cumulative efficacy is 99.3% over 5 years (which is as effective as tubal sterilization). The majority of its contraceptive effect is through thickening of cervical mucous, impedance of sperm survival and endometrial atrophy, the latter of which explains the improvement of menstrual flow. The mechanism of action of the non-hormonal IUD, however, depends predominantly on its inflammatory response which interferes with sperm passage, thus preventing fertilization. These nonhormonal devices can last between 3-12 years and are comprised of copper that may be designed in a multitude of shapes and sizes. This type, however, can be associated with heavier and/or crampier menses. It should be noted that the hormonal form of the device may also be known as an intrauterine system (IUS), particularly when utilized for the treatment of heavy menstrual bleeding rather than contraception. As many as one third of women experience heavy menstrual bleeding . According to the Society of Obstetricians and Gynaecologists of Canada guidelines, an effective method of treating this condition is the placement of an IUS. Although other treatment options for menorrhagia can include anti fibrinolysis, the combined oral contraceptive pill (OCP), systemic progestins, endometrial ablation and hysterectomy, the IUS can provide increased satisfaction to the patient. The LNG-IUS has been found to reduce menstrual blood loss by 86% at the 3 month mark, and up to 97% at 1 year . Quality of life was also improved, and patient satisfaction was high, leading two-thirds of women in one study to cancel their hysterectomy . Because it is long-acting, provider-inserted, and highly effective, patients are required to visit healthcare providers less often to obtain more prescriptions, there is less human error that could predispose to decreased efficacy, and less risk than undergoing a surgery. This convenient device can also be removed earlier than its expiry, upon patient request. Although there are some patients who hesitate to retain a foreign body, infection rates are fairly low and side effects minimal. Approximately 50% of pregnancies are unintended . More often than not it is the cost associated with purchase that leads to the selection of a less effective type of contraception. To put it in perspective, the Mirena IUD can cost over four times the cost of the non-hormonal (copper) IUD which can be off-putting for patients who do not have the means to pay for this. Although insertion of the device itself is often publicly-funded depending on the country, the device itself is not. On average, the cost of a 3-month supply of combined OCP can be approximately onethird the cost of the non-hormonal IUD and less than one-tenth the cost of a hormonal one. Thus, even though over the long run the LNG-IUD may be cheaper, it is the up-front cost that acts as the main deterrent over the less effective OCP. Importantly, either type of IUD is less costly and risky than to subject a patient to repeated terminations that can occur during a 5-year period of time, and significantly less so than to maintain a pregnancy and deliver at term. By the same token, patients who require treatment for heavy vaginal bleeding are hesitant or unable to purchase an IUS to diminish their menstrual flow. Studies have demonstrated that the cost of LNG-IUS was less costly and more effective than other medical options, while providing more quality-adjusted life years compared to an ablative procedure, let alone a hysterectomy . Cost-effectiveness studies have demonstrated that the hormonal IUD provides highly effective contraception and management of menorrhagia at a cost-savings to the healthcare system. In order to minimize morbidity, governments should consider publicly funding the LNG-IUD for the purposes of family planning and heavy menstrual bleeding. If it is felt that it is too costly to publicly fund the hormonal IUD for contraception, then at minimum the copper IUD should be supplied at no cost to the patient to reduce the rate of unintended pregnancies. 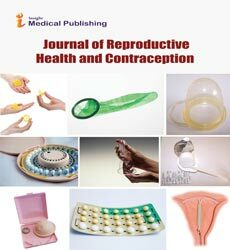 Hillard PJA (2012) Benign diseases of the female reproductive tract. In: Berek JS (ed). Berek and Novak’s Gynecology Philadelphia: Wolters Kluwer Health/Lippincott Williams & Wilkins. pp: 375-437. United Nations (2015) Department of Economic and Social Affairs, Population Division. Trends in Contraceptive Use Worldwide. Bayer (2015) Mirena prescribing information. SOGC Clinical Practice Guideline (2013) Abnormal Uterine Bleeding in Pre-Menopausal Women. Journal of Obstetrics & Gynaecology of Canada 35: S1-S28. Lahteenmaki P, Haukkamaa M, Puolakka J (1998) Open randomised study of use of levonorgestrel releasing intrauterine system as an alternative to hysterectomy. BMJ 316: 1122-1226. Bhattacharya S, Middleton LJ, Tsourapas A, Lee AJ, Champaneria R, et al. (2011) Hysterectomy, endometrial ablation and Mirena for heavy menstrual bleeding: a systematic review of clinical effectiveness and cost-effectiveness analysis. Health Technology Assessment 15: 1-252.